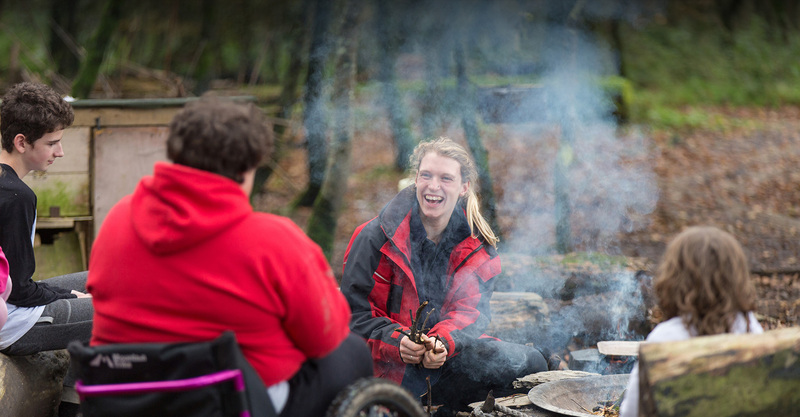 Calvert Trust Exmoor’s stables offer a wide range of horse based activities. 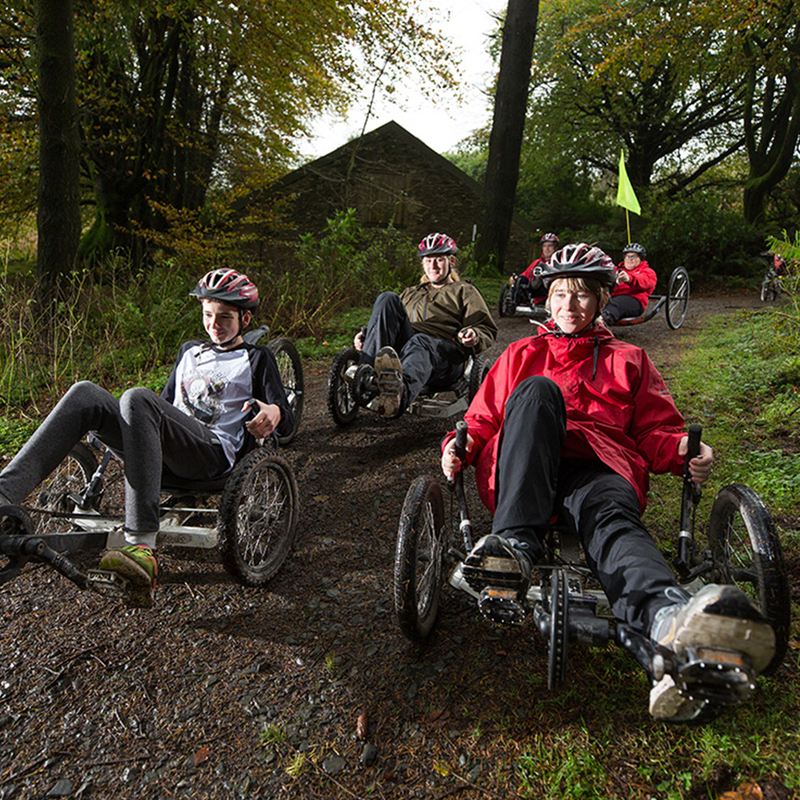 As well as regular riding, horse based activities include carriage driving (which can also be done from a wheelchair), horse behaviour and ‘learning to speak horse’ sessions, and tandem riding (where a child who can’t support themselves can have a member of staff sit behind them and ‘act as their spine’). 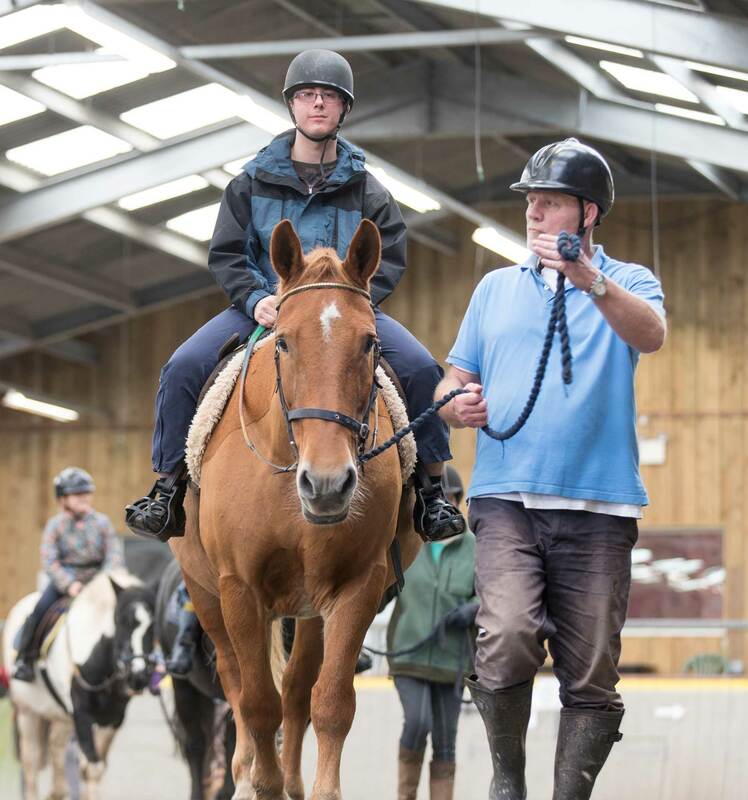 Guests can also get involved in stable management sessions such as grooming, tacking up and mucking out, working with horses both loose and with a lead rope, or horse agility sessions (working with a horse to get round a course of cones, over tyres and seesaws and other obstacles). 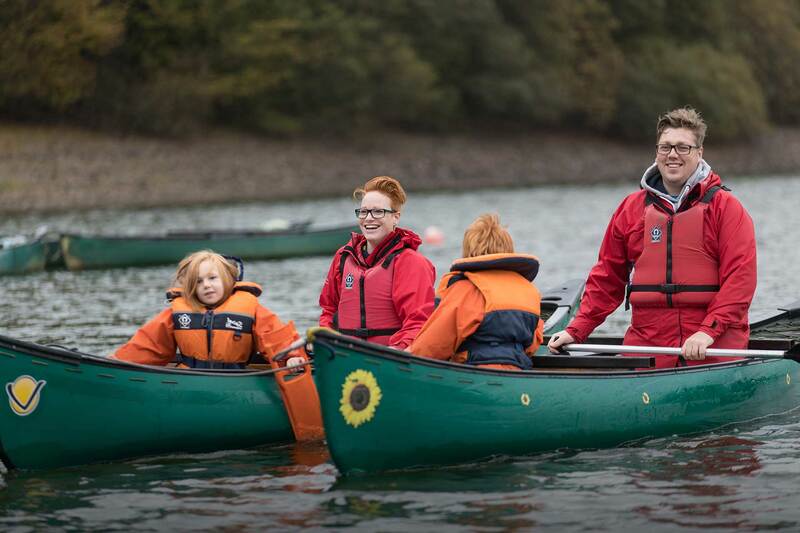 Horse based activities are a great way of gaining confidence, increasing independence, and developing new skills in an enjoyable way. 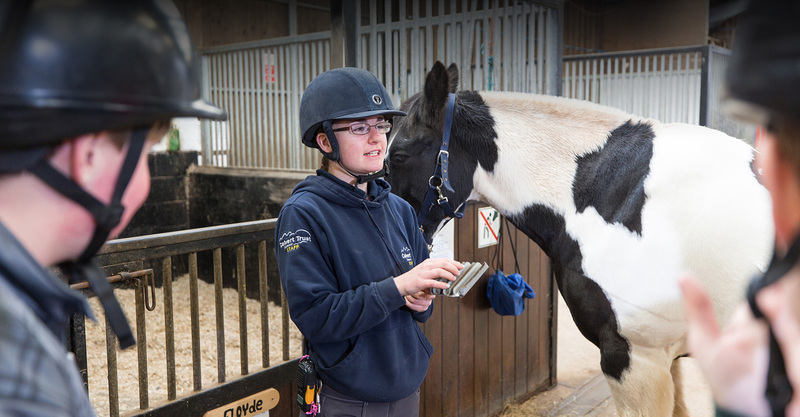 Our friendly horses and staff give everyone a sense of calm and wellbeing. Some medical conditions may mean a guest is unable to ride a horse. In these circumstances we are likely to offer carriage driving as an alternative option. Please note there are weight restrictions for guests wishing to participate in horse riding or carriage driving. If you’d like to know more, please call us on 01598 763221. 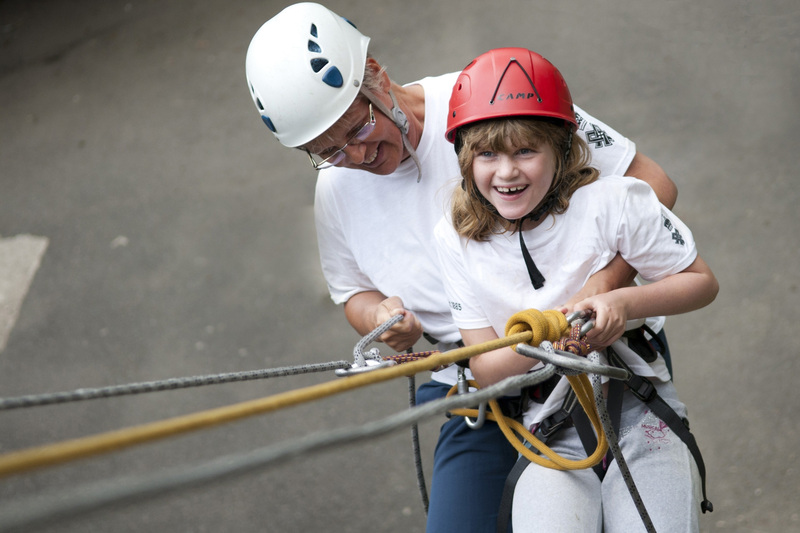 Guests can enjoy activities such as riding, carriage driving, horse behaviour and ‘learning to speak horse’ sessions and tandem riding. You may also get involved in stable management sessions such as grooming, tacking up and mucking out. 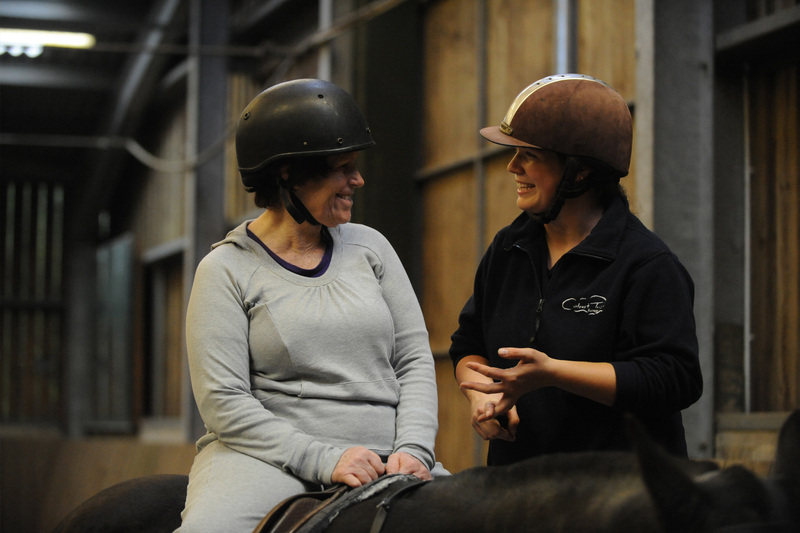 Horse based activities are a great way of gaining confidence, increasing independence, and developing new skills.